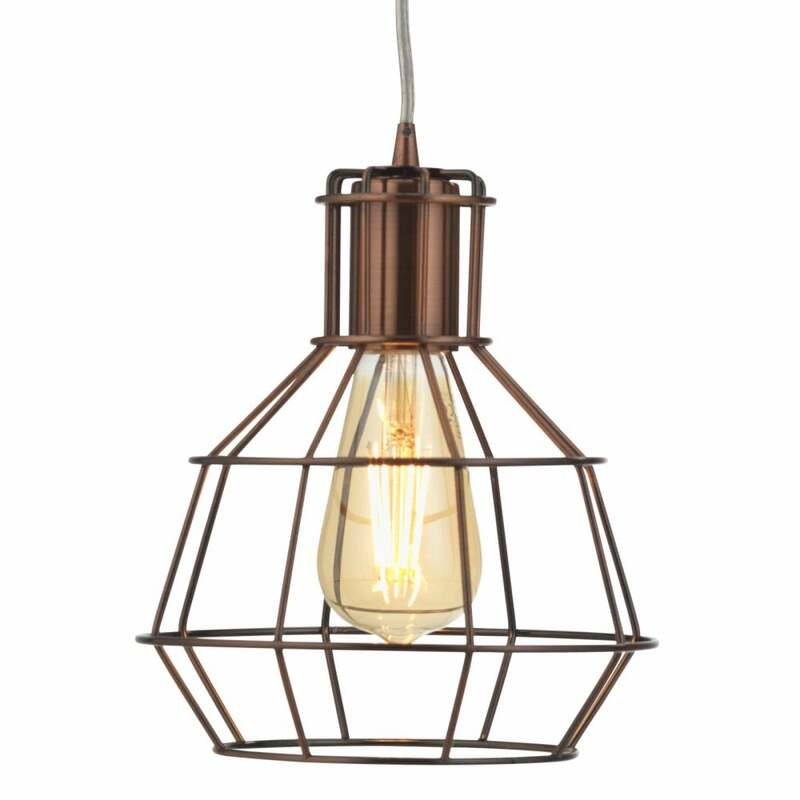 Oaks Lighting Kersen single light ceiling pendant features a circular ceiling plate holding a caged design shades in copper finish. The product code for this item is 5156/1 P CU. The retro design has an industrial feel making it the perfect addition to quirky and modern interior homes. The fitting hangs simply from a clear height adjustable cable allowing you to position at the height required. The Kersen range includes a 3 light pendant, 2 or 3 light spot fitting and single light wall fitting which can be viewed and purchased via our website.